Believed to have originated in the 1800’s with the Cherokee Indians on Nickajack Creek, Macon County, North Carolina. Although not noted for its fresh eating qualities, Nickajack was favored for its large size, dependability and long keeping ability. Fruit medium to large with greenish-yellow skin shaded with dark red. Slightly yellowish flesh is firm and juicy with a brisk subacid flavor. Ripens late November in mountains, September in warmer areas. 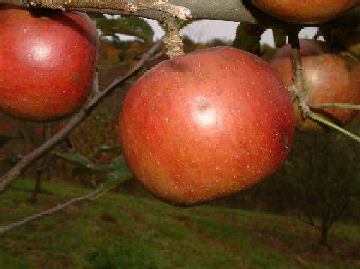 Many months ago I have written regaurding the Junaluska and Nickajack apple tree varieties. Will you have any trees for sale this Autumn?